"We Are Your Flower Expert, We Want To Talk To You About All Your Options When Decorating With Flowers"
When you host an event, you want to make sure all your details are cohesive, match and are truly eye-catching. Everything should stand out in its own way and help set the tone of your event. It's truly an important detail that must not be overlooked at something that your vendor should understand. One of the most important detail is the flowers. That's the first thing your guests will notice when walking into an event. They are truly eye-catching. You must find a florist who wants to create your vision and set the tone of your event for your guests when they walk in. So, if you're in the New Milford, Connecticut area, Ruth Chase Flowers achieves exactly that. This florist is your choice for premium fresh flowers and upscale design artistry for your wedding or any special occasion. Always taking special care to make sure your flowers reflect your individual and budget. Whether you prefer timeless tradition or a sleek contemporary look, they'll design your flowers to replicate just that. Their wedding consultants are there for your from start to finish, making sure they design your dream wedding flowers. A beach inspired wedding, English garden, winter wonderland or even an Asian flair wedding; they can design it all. Your wedding is custom designed just for you. Their wedding consultants can offer a variety of beautiful style suggestions in an effort to create the overall look you are wanting. Let them design your wedding bouquet, bridesmaid bouquets, corsages, boutonnieres, wedding ceremony arrangements and decorate your reception venue to create a wonderful overall look. 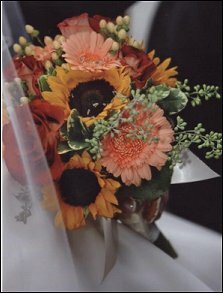 Whether you are wanting an all white bouquet, sunflower bouquet or even an orchard bridal bouquet; they'll go above and beyond to design what you're wanting. They want to help you choose wedding flowers that are right for you to bring your special day to life. If you are not in the process of planning a wedding, don't forget they design for all other occasions as well. Planning a special holiday party, charity, event or just wanting to send flowers just because? They design great reception centerpieces for any event or holiday matching their design to your event. They definitely want to convey the theme for your event within their beautiful flowers. Is there a special occasion, such as a birthday or Valentine's Day; this florist will design their arrangement to match the holiday and special recipient. When wanting to find a florist that wants to go above and beyond to create your vision, choose Ruth Chase Flowers. Always going out of their way to make sure that they truly create your vision. You'll see that they always design with you in mind. I had my bridal bouquet and boutonniere designed here and both were above and beyond expectations. I had a very specific idea in mind and had a hard time explaining it, but they are such professionals they got what I was trying to say and executed it to perfection! I would recommend them for any floral needs! They are great at everything they do. My wedding flowers were breath taking thank you! Are you looking for an experienced wedding florist? Ruth Chase Flowers is a full service wedding florist offering your dream come true wedding flowers, centerpieces, wedding decorations, and more. Yes we offer rental service. Let us consult with you about your ideas and let us bring your dreams to life right before your eyes. 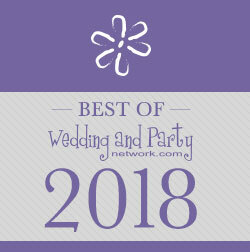 Ruth Chase Flowers will be there the day of your wedding or event setting up you day! Call today we book months in advance.